According to Wikipedia ".NET Framework (pronounced dot net) is a software framework developed by Microsoft that runs primarily on Microsoft Windows. It is open source and Microsoft with .NET 2015 is extending it to run on Mac OS platforms and Linux". It was basically developed for generating new applications. 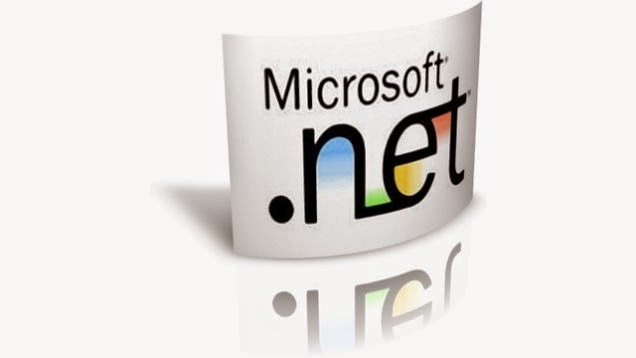 Dot Net framework provides developers a platform to develop new applications with their ideas. At present you will need Microsoft NET Framework latest version installed on your system if you want to run any application or wanna play games. You might come across this error "Unable to install this application. This application requires version 4.5 or other compatible Net Framework". Actually .NET is a framework like any other. The key is just to understand what a framework is. Essentially, a framework is just a bunch of code that the programmer can call without having to write it explicitly. Ruby on Rails for example is a framework. Before the RoR programmer writes a single line of code, there are already tons of lines of code written for him. That's why RoR can be so fast (if done right) or so slow (if not). Few years back Microsoft was providing only online installer of .Net framework. For which you needed high speed internet connection. But the time has change, now Microsoft has started providing offline installer for .net framework. People were facing problems while installing dot net framework online so Microsoft decided to take this step. Now you just need to download offline installer of dot net framework and install it on your system easily without any internet connection. Do I Need .Net Framework? If you will ask this question then i will surely say a big Yes! It is needed to run most applications created for the Windows platform. Some windows application require the Microsoft .Net Framework on the client machine to execute properly. You can say that it's a part of windows update, It won't affect your system rather if you have installed it on your PC or Laptop it will help you to run application more smoother. It simply provides the necessary compile time and run-time foundation to build and run any language, application, games etc. OS : Windows Server 2008 SP2, Windows Server 2008 R2 SP1, Windows Vista (SP2), Windows XP (sp3), Windows 7 and Windows 8. Note:- You don't need .Net framework if you are on Windows 8 or 8.1. Microsoft windows 8/8.1 comes pre-installed with dot net framework 4.5. But framework 3.5 is not installed on it, so if you require its 3.5 version then you will have to download it manually. Microsoft Net Framework 4.5 offline installer (Both x86 & x64 ). Microsoft Net Framework 4.0 offline installer (Both x86 & x64 ). Microsoft Net Framework 3.5 offline installer (Both x86 & x64 ). Microsoft Net Framework 3.5 SP1 offline installer (Both x86 & x64 ). Microsoft Net Framework 2.0 offline installer for x86. Microsoft Net Framework 2.0 offline installer for x64. Please Tell Me that what version of dotnet is compatible to windows xp Sp3. iam using win xp sp3. You can use .Net Framework 4.0 or an older version for Windows XP. As .Net Framework 4.5 doesn't support windows XP.